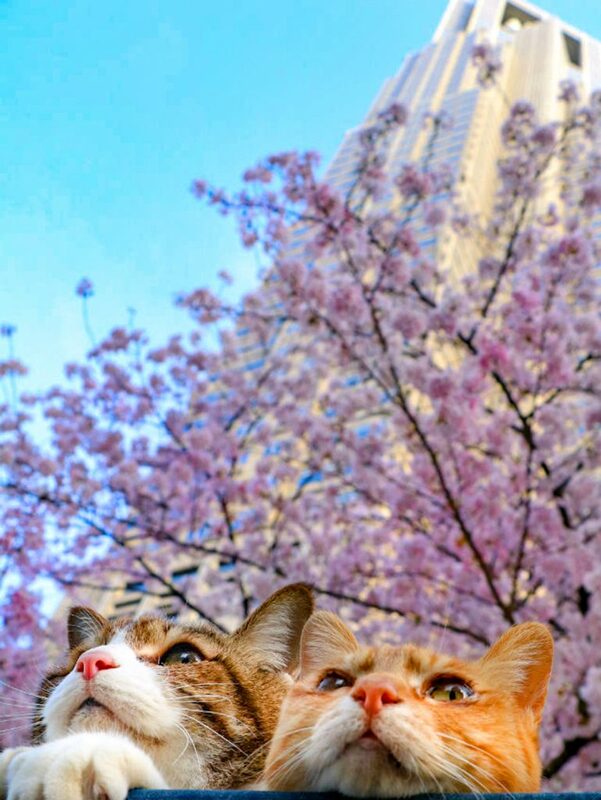 These adorable snaps show an intrepid pair of travelling cats celebrating Japan’s stunning cherry blossom season. Owners Tomomi and Daisuke Nagasawa, from Tokyo, took in stray moggies Daikichi and Fuku-chan after the pair were found wondering the streets. 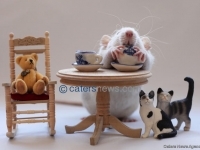 Tech company CEO Daisuke, 49, decided to start bringing the cats on the couple’s travels after Daikichi started to get anxious while the couple went away. 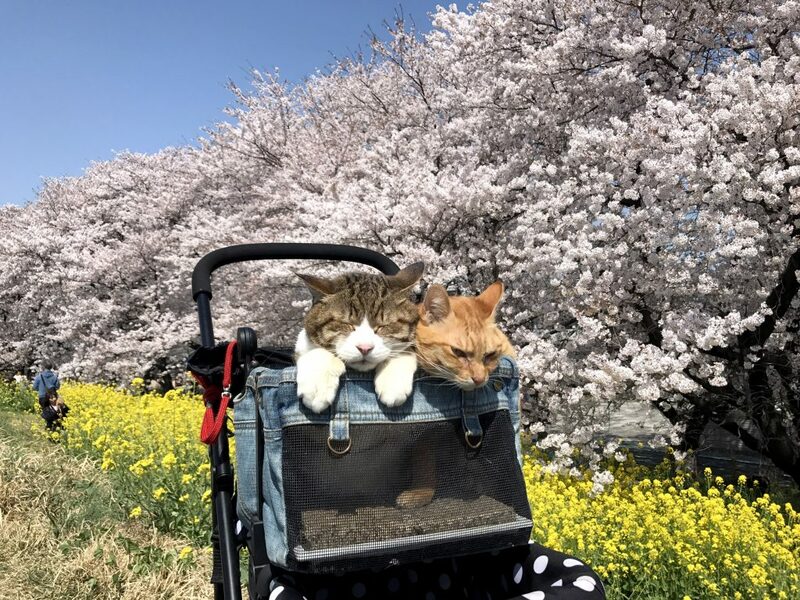 The couple have so far taken the cats across Japan, including to the iconic Showa Memorial Park in Tokyo and most recently Odawara Castle in Kanagawa Prefecture, where they snapped the cats under glorious cherry blossom. Daisuke said: “Both Daikichi and Fuku-chan stayed calm in front of the beautiful flowers.